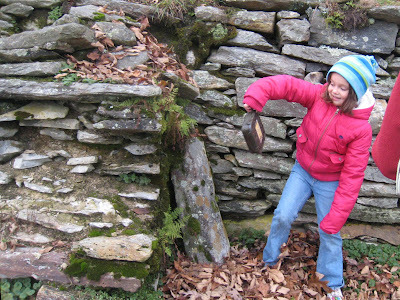 Ken's sister Marion was considerate enough to enter the world during peak leaf season in the southeastern U.S. 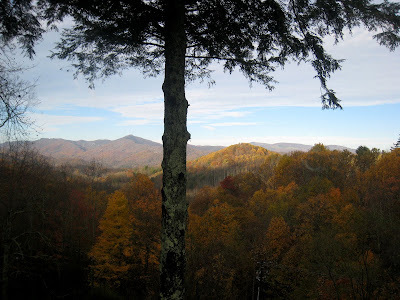 Blowing Rock seemed the natural place to go for a celebration of birthday #65. Because our usual "mountain home away from home" was booked for the birthday weekend, we ended up in a Yonahlossee townhouse. What a view it had from the screen porches on two levels! 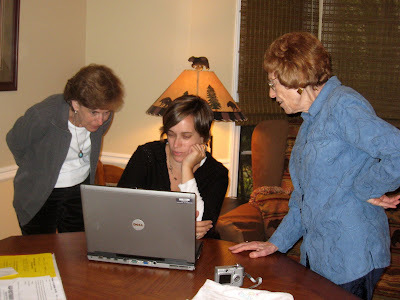 Heather and Marion helped Grandma get acquainted with Facebook. Miss Butterfly Lady (aka Emma) didn't let the cool temperatures discourage her from going after Blowing Rock and Boone letterboxes. 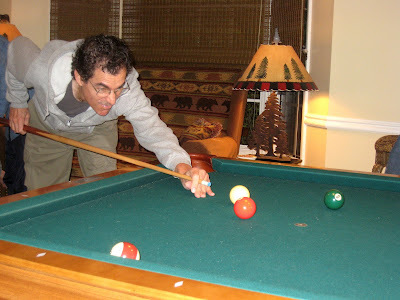 The condo was on three levels, allowing us to spread out a bit more and making room for a billiard table. 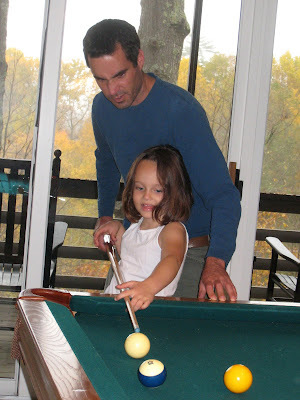 Uncle Ryan took on the task of teaching Emma to play. Uncle Ken got his shots in, too. 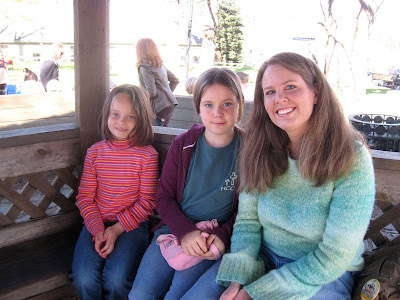 At the Blowing Rock city park, we met Shoafsters, who lives in Blowing Rock, and her daughter Princess Mimi, to exchange stamps and tell them how much we enjoyed all the letterboxes they have planted in the area. 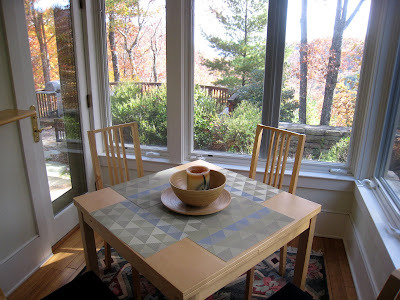 Before returning home, we visited Serenity Cottage, a one-bedroom retreat at the top of a mountain outside Boone. A beautiful and very remote little house with many windows, no curtains, and no need for them. Once we arrived at the address we drove up, up, up the half-mile driveway to reach this hideaway in the woods. As always, our time in Blowing Rock ended much too soon and we all headed home.